Ballantine’s, the world’s No 2 Scotch whisky and part of the Pernod Ricard family of brands, yesterday announced the launch of the Ballantine’s Golf Club; a unique and innovative online Golf Club, inspired by golf and its lifestyle and aimed at those who share an appreciation of golf and a love of fine whisky. 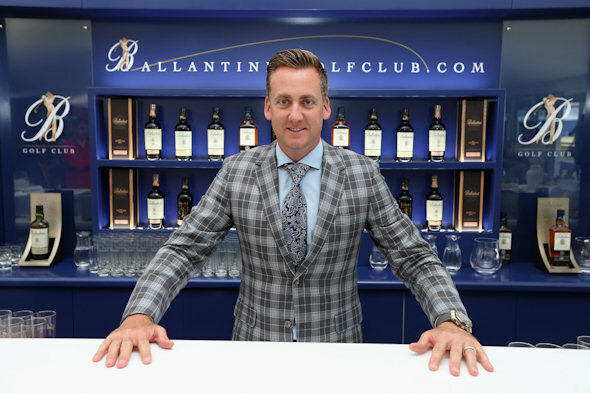 Ian Poulter will be the Club’s first ever Captain and registrations for the Club are open now at www.ballantinesgolfclub.com, with the site due to launch in full this October 2014. Membership to the Ballantine’s Golf Club will offer unique access to exclusive content, invitational events, whisky tastings, VIP hospitality and a range of member rewards, as well as the chance to meet and play with top players and participate in a member-only global tournament. Leading Sports Presenter, Di Dougherty, hosted the launch event – held just ahead of the Aberdeen Asset Management Scottish Open, at which Ballantine’s is the Official Whisky Sponsor – and announced Ian Poulter as the inaugural Club Captain. Ballantine’s also screened a world premiere of ‘Moments of Truth’, a mini-documentary featuring Ian Poulter and offering a unique insight into Poulter’s own back story and psyche; watch it in full at www.ballantinesgolfclub.com. The ‘Moments of Truth’ film is part of a series, which will focus on moments in golf that have changed the course of a golfer’s career, seeing them Stay True to themselves and to their own courage and determination. The ‘Moments of Truth’ series will feature exclusive stories from respected figures in the world of golf over the coming year, all of which will be showcased within the Ballantine’s Golf Club. Throughout the season, www.ballantinesgolfclub.com will be updated with further exclusive content including ‘Shot Makers’, which features swing and course management tips from professionals, ‘Captain’s Diary’ updates from Ian Poulter and further mini-documentaries. The site will then be fully populated and unveiled in October 2014, when registered members will have an even wider range of content at their fingertips. Ian Poulter said: “It is an honour to be the Founding Captain of the Ballantine’s Golf Club. Ballantine’s has long had an association with golf and it’s fantastic to be a part of a truly unique club where, like me, the members will share an appreciation of whisky and the true spirit of golf”. Peter Moore, Global Brand Director for Ballantine’s added: “We have a tremendous heritage in golf dating back to 1960; however the Ballantine’s Golf Club marks a significant shift in our strategy within the sport. In addition to our continued support for tournaments across the golfing calendar, the introduction of the Ballantine’s Golf Club will allow us to reach an increasing number of golf fans, who share an appreciation of good whisky, all around the world”. The Ballantine’s Golf Club was inspired by the brand’s ‘Stay True’ positioning, which serves as an invitation to consumers to express themselves in a genuine and authentic way, applauding conviction and self-belief. The identity of the Golf Club reflects its members’ modern lifestyle and aspirational outlook, building on Ballantine’s strong heritage in golf in a contemporary and innovative way. Members can register to join the Ballantine’s Golf Club now at www.ballantinesgolfclub.com, where the first ‘Moments of Truth’ film featuring Ian Poulter can also be viewed.